Very rude man working there! Charged £7.99 to cut a standard Yale key - £31.96 for 4 keys!!! 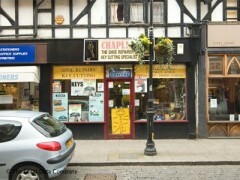 (Local hardware store we've now discovered charges £3.50 per key) Avoid avoid avoid!! !